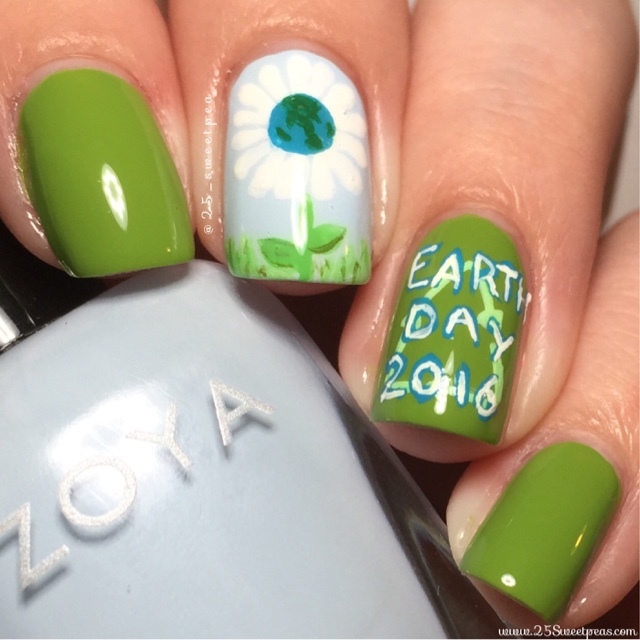 Happy Earth Day, and today's nail are in honor of it! I almost missed it actually for some reason I was thinking it was next month. So glad I didn't miss it. Now on to seeing the up close photos. 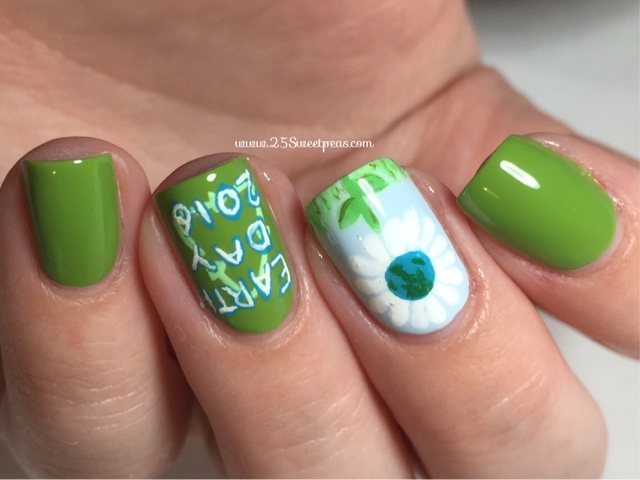 These were surprisingly easy to do and fun! 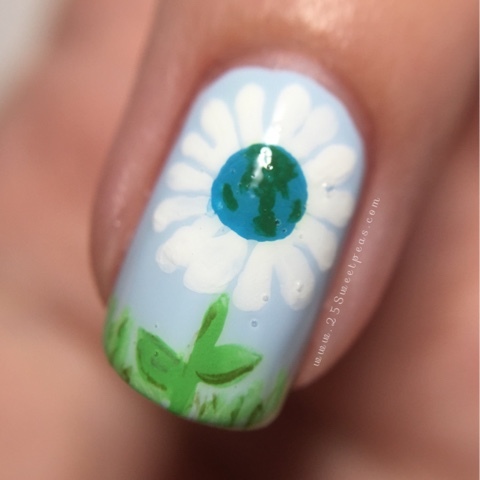 The flower nail with the Earth as the center was inspired be a mani Wondrously Polished did on a past Earth Day! Her's were just so cute and when I was looking for ideas you know I couldn't pass up a floral! They are pretty much my nail art weakness! Haha, I always give in and do a floral when I can. Here is an up close look at the flower, and please excuse the little bubbles. Not sure what's going on with my top coat. I am actually really happy with how these turned out. I was actually nervous that I couldn't pull off the center. Polish wise the light blue (the one I'm holding) is Zoya Blu and the green is Zoya Tilda. Then all of the details were done with acrylic paint. 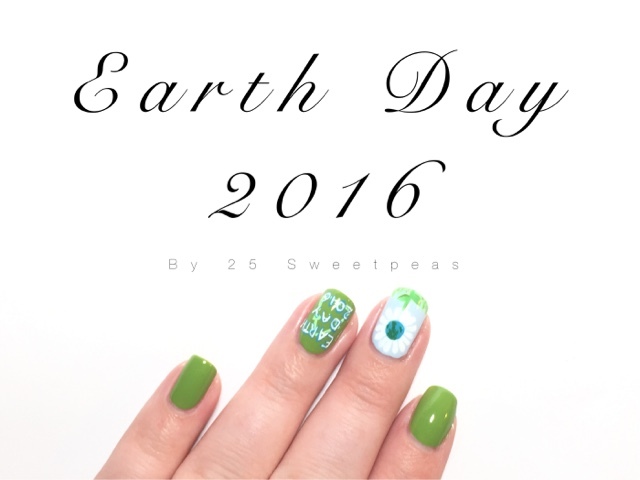 On my ring finger I tried to do the recycle sign behind the words "Earth Day 2016" but it didn't really turn out like I had hoped/wanted. 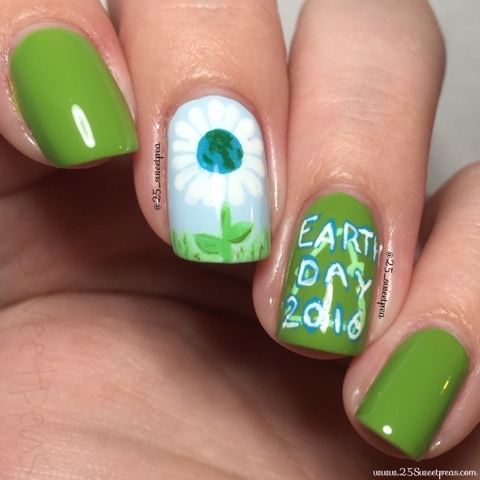 Overall I think these are my favorite Earth Day Nails I have done! Last years were fun too tho! If you want to see them you can here. Well thanks so much for stopping by and reading, I hope y'all have a lovely rest of your day!